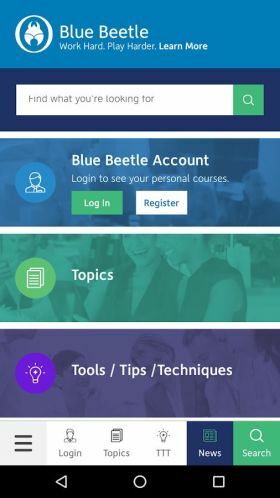 Blue Beetle is not an average training consultancy offering average solutions. By coining the term ‘pragmatic consultancy’, this implies a difference of approach. We do not want clients to commit huge funds to an arduous and long winded theory based approach but rather to add real value to live business discussions and situations utilizing key industry experience and skills to make a real difference. Working with pace and drive, Blue Beetle will produce quick ‘pragmatic’ suggestions to key challenges, engaging relevant stakeholders and enhancing real business results. We are not interested in creating a consultancy that becomes an ‘industry in itself’ but rather a business enhancement model which remains responsive and practical but offers innovative suggestions and solutions to key client needs. Adaptable and flexible above all, this approach is much lighter on its feet than other companies and seeks to fully engage with clients’ needs and provide enlightened thinking and innovation to respond to real business challenges. It is understood that many clients are required to produce a robust, market benchmarked Learning and Development Strategy which can be time consuming and arduous to develop. Blue Beetle have perfected a standard People, HR and Learning and Development Strategy template and approach which can be adapted for individual client needs. This provides a cost effective solution to a time consuming and challenging problem. Blue Beetle also utilize their key industry contacts to develop good information on market trends and industry best practice which forms a good basis for benchmarking relevant date as required within different market sectors. A full consultancy service is available to clients to assist them in developing a People, HR or L&D Strategy – or Blue Beetle can be commissioned to engage with their key internal stakeholders directly and produce a full Strategy from a standing start position.